Our friends Dave and Kris Buchanan had a booth at the 2009 Uniontown Arts and Heritage Festival. 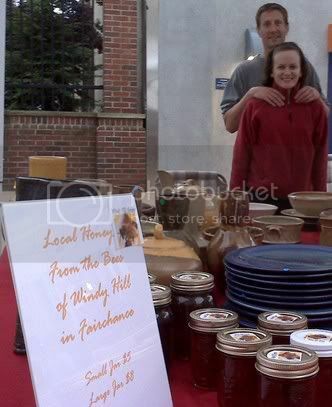 Dave was showcasing his Windy Hill Honey and his gorgeous pottery. If you are looking for some new dinnerware or a wonderful gift, you can contact Dave at claydavey@yahoo.com.